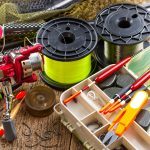 Although bait fishing isn’t rocket science, achieving consistent success can be challenging and there are plenty of small details that can make or break an outing. 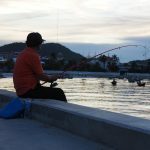 However, by following a few simple guidelines and paying close attention to the presentation you can dramatically improve your efficiency at converting baits into fish. I don’t mean this in a literal sense (I like having two ears) but a little bit of artistic flair does go a long way to improving the presentation of baits. The more natural or disguised that baits appear on a hook, the more likely they’ll be eaten. Visualise the way that vulnerable bait and drifting pieces of flesh would appear to fish in the wild and try to replicate that. 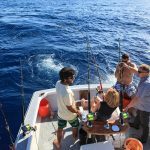 One strategy for targeting small bread and butter species such as Bream and Whiting is to use bite size pieces of bait on a small suicide hook. A piece of prawn flesh or bread or something similar should be big enough to cover the hook but small enough for a competitive fish to mindlessly swallow it whole. Peeling away the shell of a prawn also makes it easier for fish to consume and encourages more aggressive takes rather than nibbles. One of the tricks with bait fishing is to keep bait firmly on the hook. Fresh bait helps in this department. If the bait is old, rotten, soft or not fed correctly onto a hook, it will easily fall off. We can all relate to that frustrating feeling when two well-separated splashes indicate that your bait has parted ways with the hook mid cast. 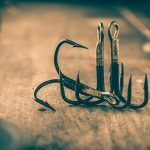 Baitholder hooks with barbs positioned along the shank can help hold baits together or a simple half-hitch around the bait and hook can also offer increased security. Once again, don’t interpret that literally. Some things are best kept to yourself. However, one bait-fishing essential is to ensure that the hook tip is always exposed. Fish that swallow bait whole (often bigger fish) are less likely to chew down and expose a hidden hook tip and you’ll simply pull the bait clean out of its mouth. An exposed hook tip is much more likely to find its mark when the fish runs or when you strike. For action packed fishing it’s hard to beat live baits. 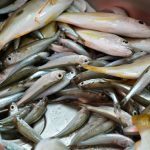 Whether your using small baitfish, squid, prawns, worms or nippers, live specimens will usually draw plenty of attention. Rig them in a way that maintains as much natural movement as possible and get them down to the fish! Bait fishing doesn’t have to mean passive fishing. There are ways to rig baits that enable them to be fished like lures. Even a dead baitfish can be hooked through the nose and retrieved with a series of twitches and pauses to imitate a sick fish. This can be a winning technique for species such as Flathead. Most spin outfits are perfectly suited for soaking baits. 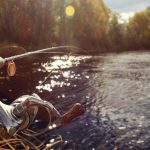 The size of rods and reels will vary depending on the species being targeted but there are plenty of rod and reel combos available that are specifically designed for particular styles of fishing such as estuary or beach fishing. These outfits take a lot of the guesswork out of the equation and will fast track you onto the fish. Click through for more information on how to rig common baits.